Martyn Hilbert's Railway Photography - Last additions - Kearsley Power Station No.2 at Rainhill. Kearsley Power Station No.2 at Rainhill. 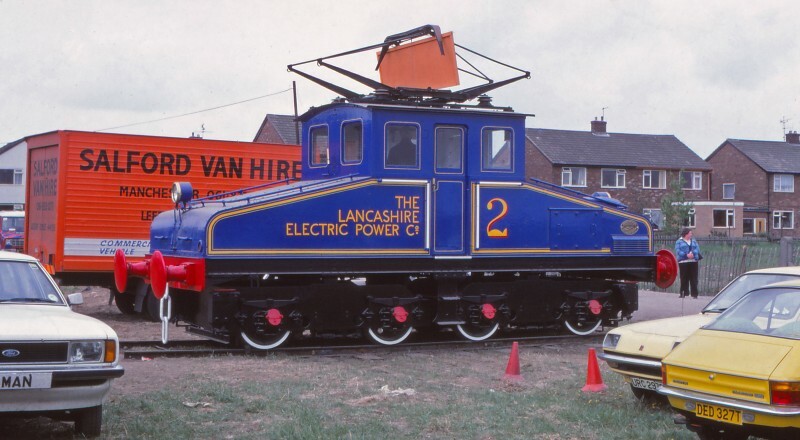 In a quiet corner of the events field at Rainhill on May 26th 1980, Kearsley Power Station electric loco No.2 had been given a garish livery and was promoting the CEGB. The loco was surrounded by various gems of the then British Motor Industry, a Ford Cortina, a Vauxhall Chevette and an Austin Allegro, which was only two years old at the time, but looks as though it already has a rising tide of black underseal!